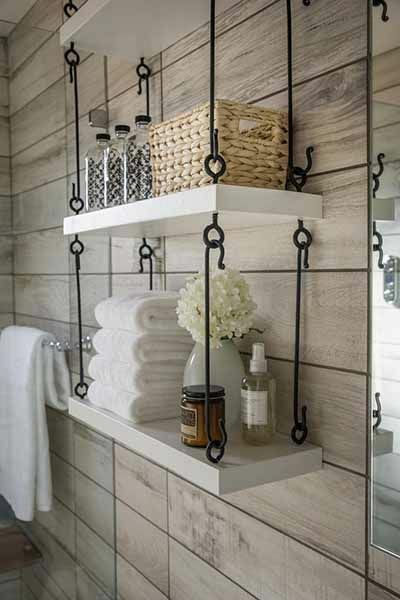 Small bathroom ideas can sometimes be challenging. 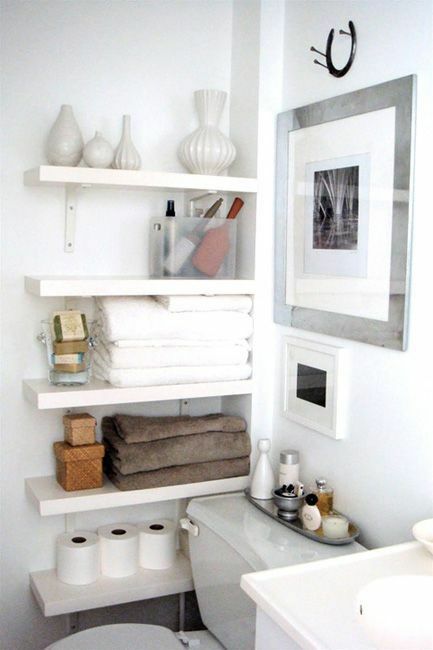 Here are some helpful tips on decor and organization to make the most of your small bathroom space. 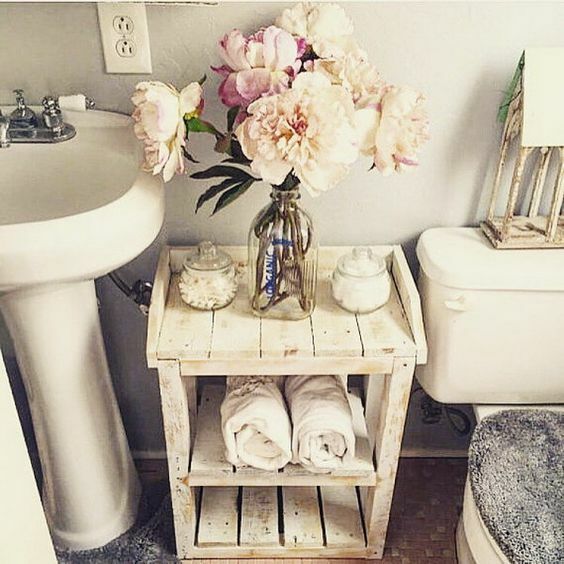 We get asked all the time for small bathroom ideas from our readers. 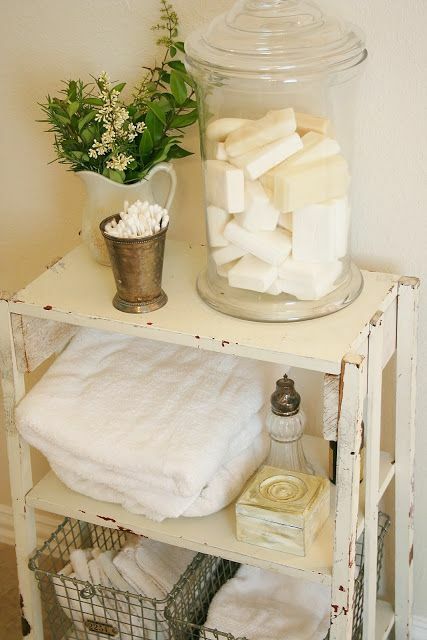 So today, we will explore some small and even tiny bathroom ideas for your home. 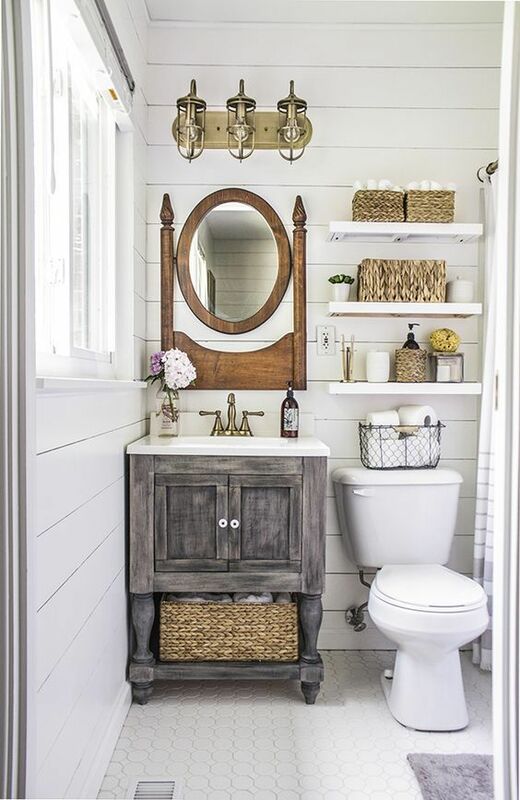 Numerous homeowners use bathrooms as their own private space to wash away tension and rejuvenate their spirits even if they own a small bathroom. You might be curious how someone could relax in a tiny bathroom. 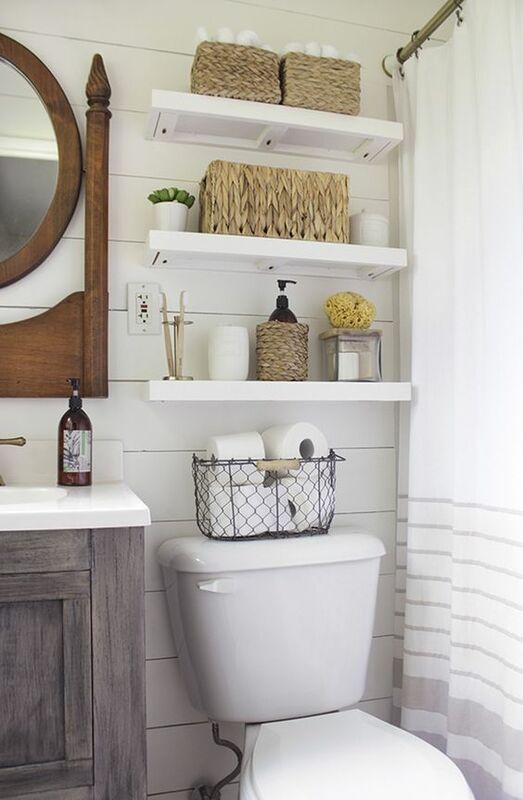 With ingenious small bathroom design ideas, you can transform your small bathroom and make it look bigger and comfortable. This article shows you five small bathroom ideas gallery of small bathroom designs to choose from. Color changes a person’s view of a room’s size. 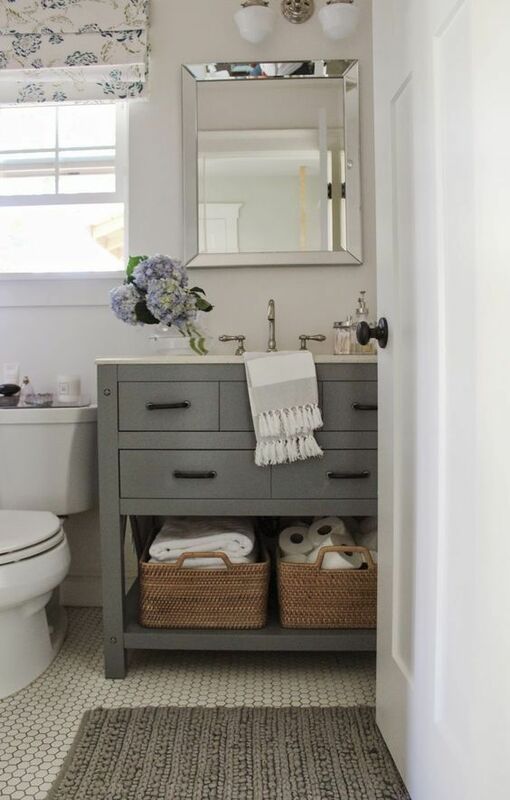 To construct the illusion of a big space, you should consider using pastel or neutral hues as the basic palette of your tiny bathroom. Push aside the notion that soft colors appear gloomy bearing in mind that pastels and neutrals are two of the most popular paint colors in recent years. Plus, the usual bland beige and plain pink are a bit of a cliché. 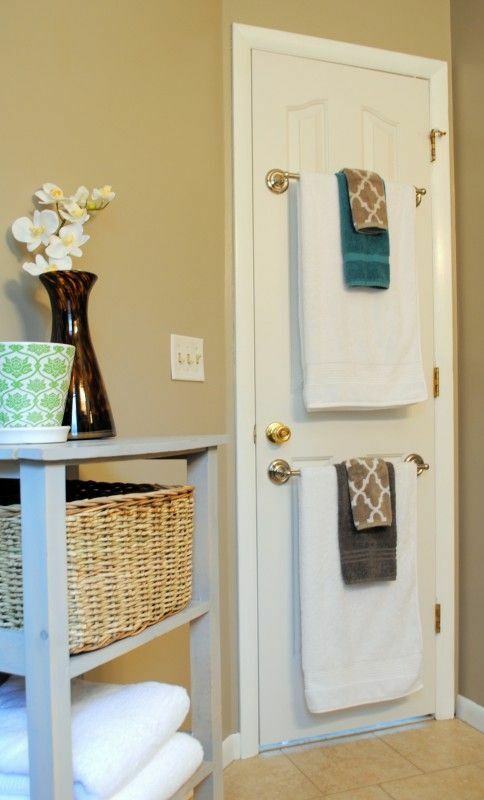 Adding some bold colored towels will add charm to your small bathroom and also give it a modern touch. 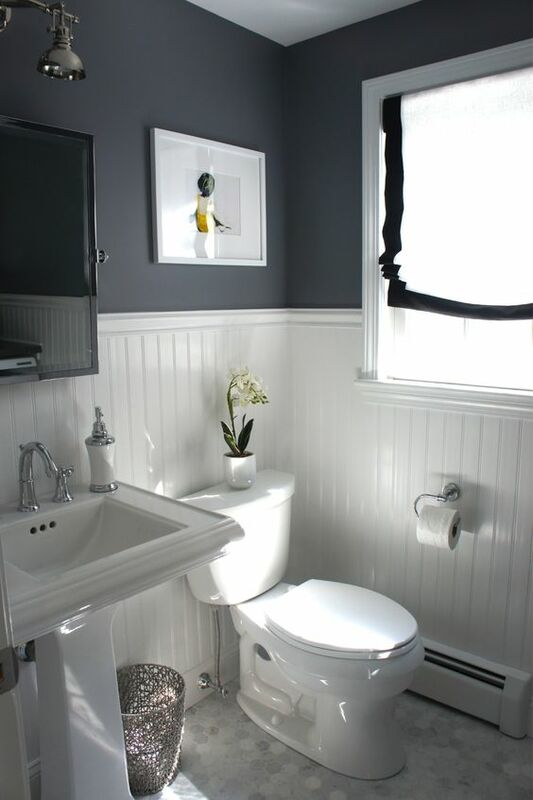 You can also light to your advantage and make your tiny bathroom appear visually spacious. Forget drum pendants, chandeliers or any large light fittings that take up a big space. 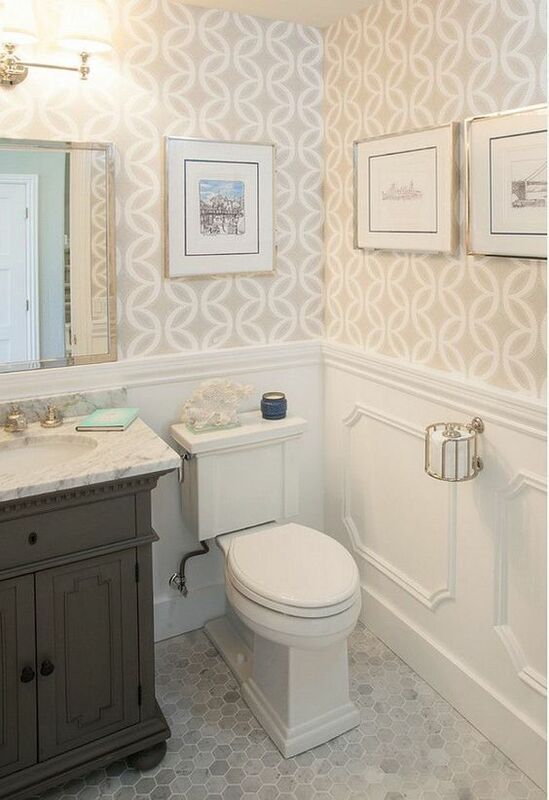 Recessed lighting is the best choice of lighting for a tiny bathroom since you can conceal it in the ceiling. Additionally, the soft glow of recessed lighting blurs the bathroom edges, making the room appear larger than its genuine size. Other than electric light, consider installing large windows or a skylight to let in natural light. Mirrors primarily reflect light giving your small bathroom a wider look. The bigger the mirrors you mount in the toilet, the more considerable space appears. Also, consider purchasing flat mirrors instead of bulky medicine cabinets. This way, you are also able to save even more space. 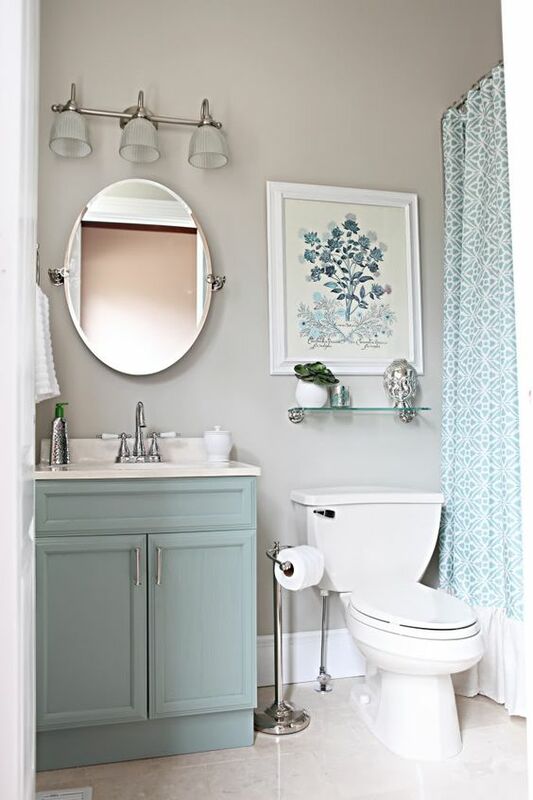 According to Freshhome, large medicine cabinets make your bathroom appear and feel smaller all at once. 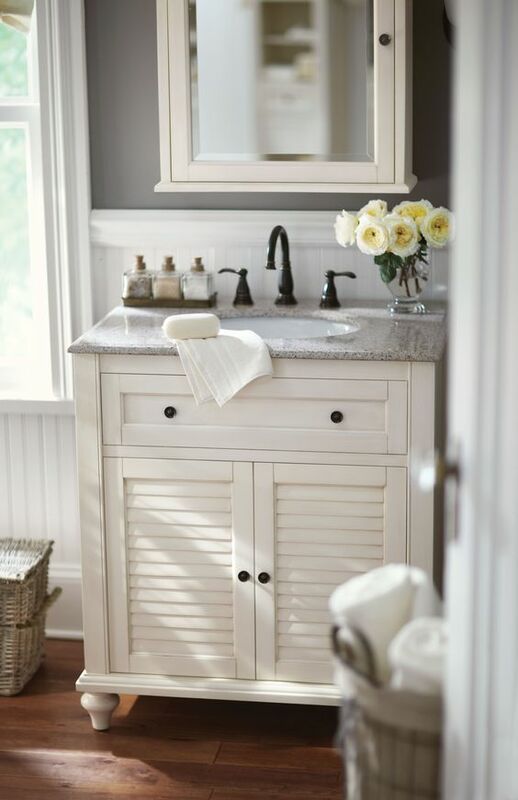 Most people prefer vanity sinks since they offer good counter and storage space. Nevertheless, vanity sinks take up a large part of the floor space. 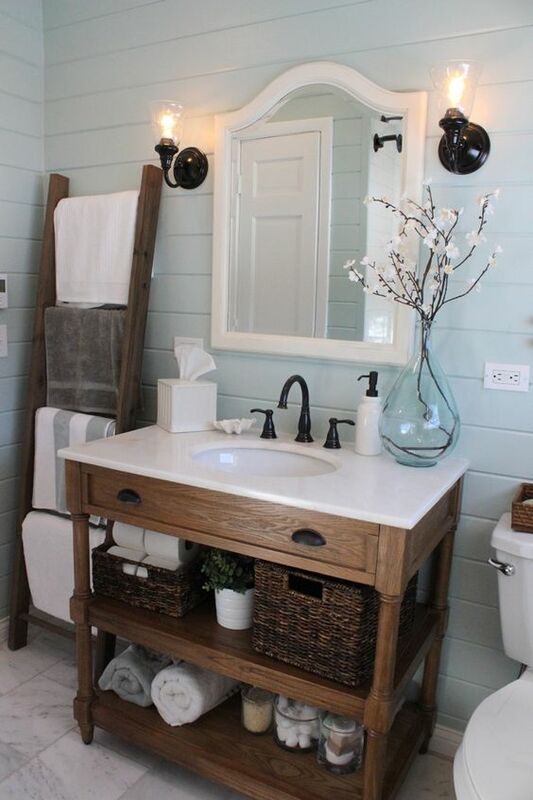 It’s time for you to replace your vanity sink with a wall mounted or pedestal sink. 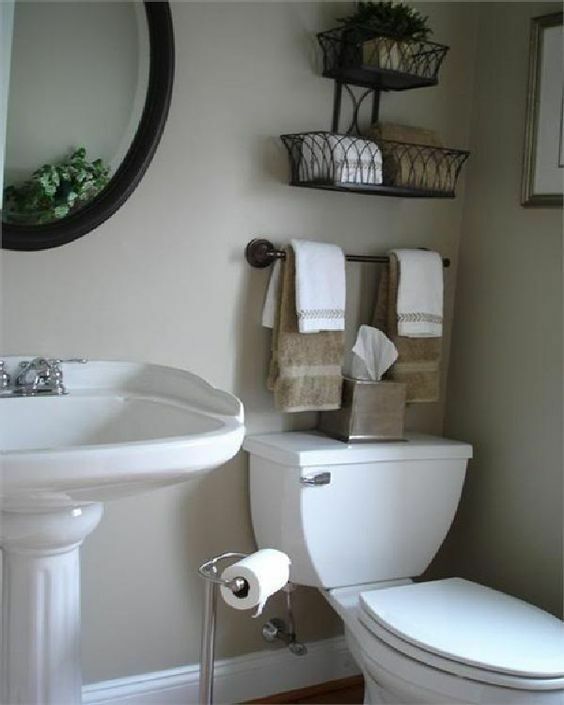 Both wall mounted, and pedestal sinks are tremendous space savers. You have the option to mount them or huddle them in the bathroom corner. Beware; you’ll be taking up valuable storage space thus you may need to come up with another solution. 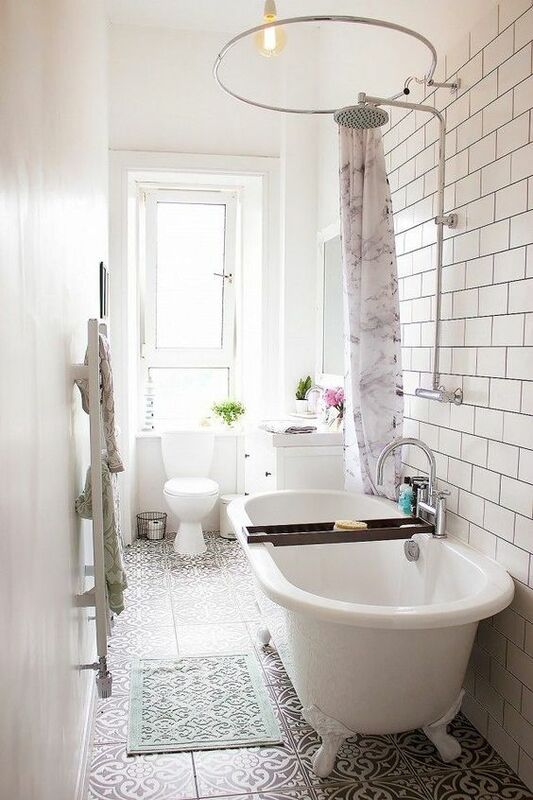 Your small bathroom doesn’t need both the tub and shower all at once. 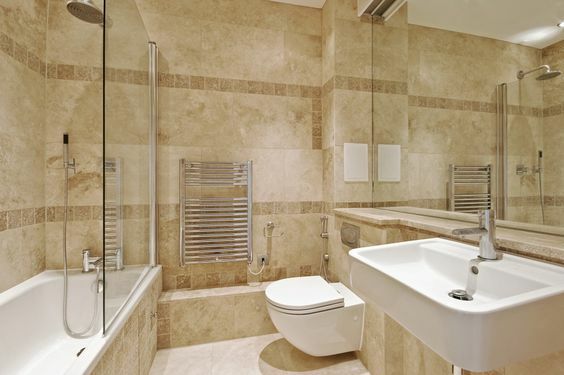 Looking to have a luxurious bathroom? A shower with many shower heads will be enough to satisfy your needs. 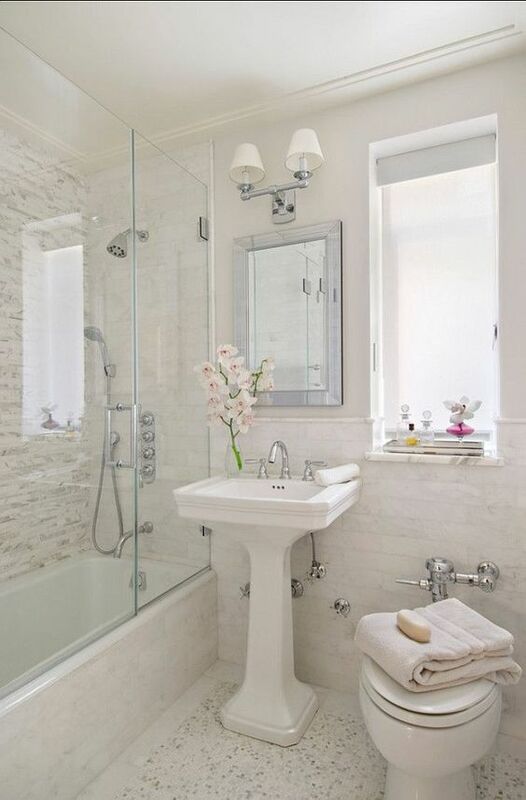 Nonetheless, if you find it hard to live without a tub, compromise a little space and put in a shower-tub combination. 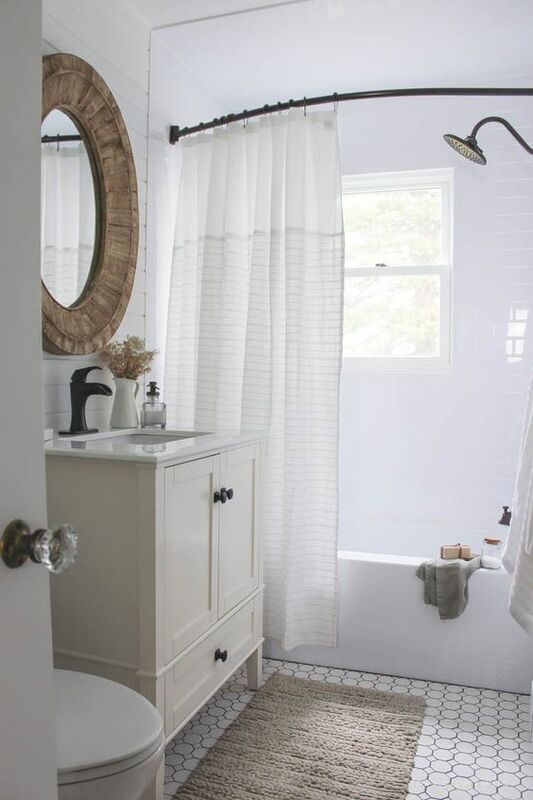 Though a shower curtain adds persona to your tiny bathroom, it too splits your bathroom visually. 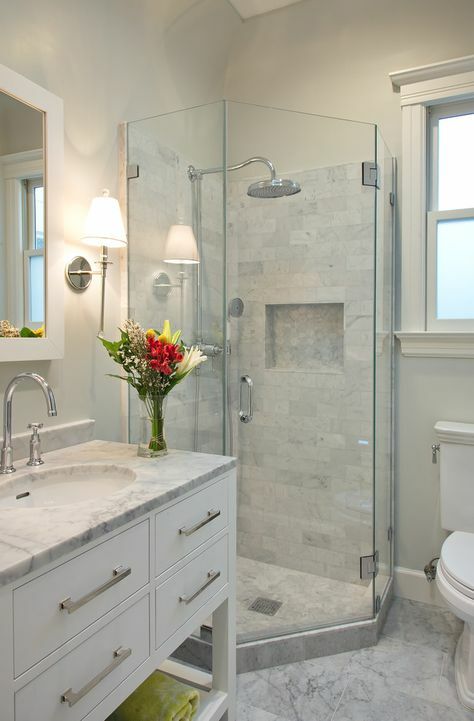 Enclose your tub/shower area with a clear cut-glass door to preserve the open sight of your small bathroom. 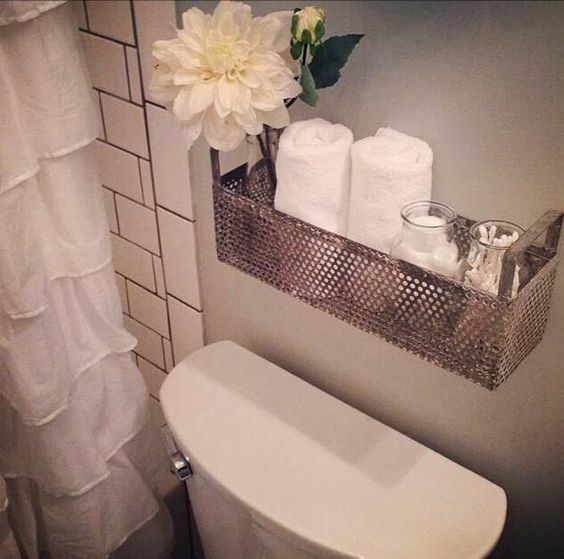 Are you prepared to transform your small bathroom? 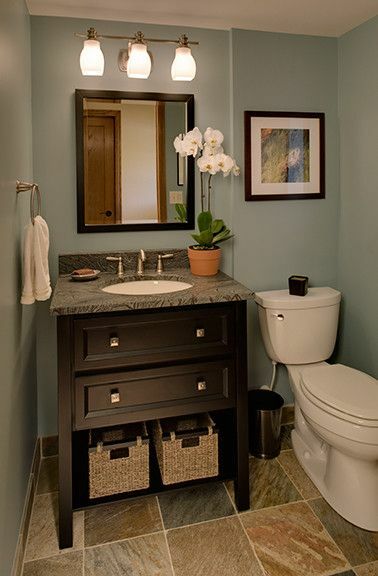 Consider using the following small bathroom ideas for your home.